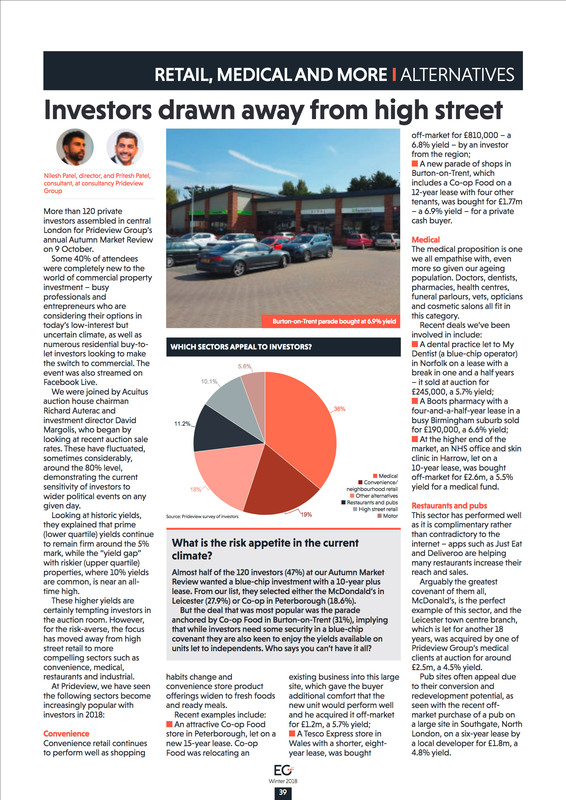 The below analysis by Nilesh and Pritesh Patel was published in the latest edition of the Estates Gazette’s Property Auction Buyers’ Guide. The article is about which sectors have been popular in 2018 and investor risk appetite going into 2019. You can see the article as published here. To get a copy of the magazine, please follow the instructions at the bottom of this article. To discuss your requirement in more detail, you can contact Pritesh here. You can read Estates Gazette Property Auction Buyers’ Guide online now by registering on their website here.